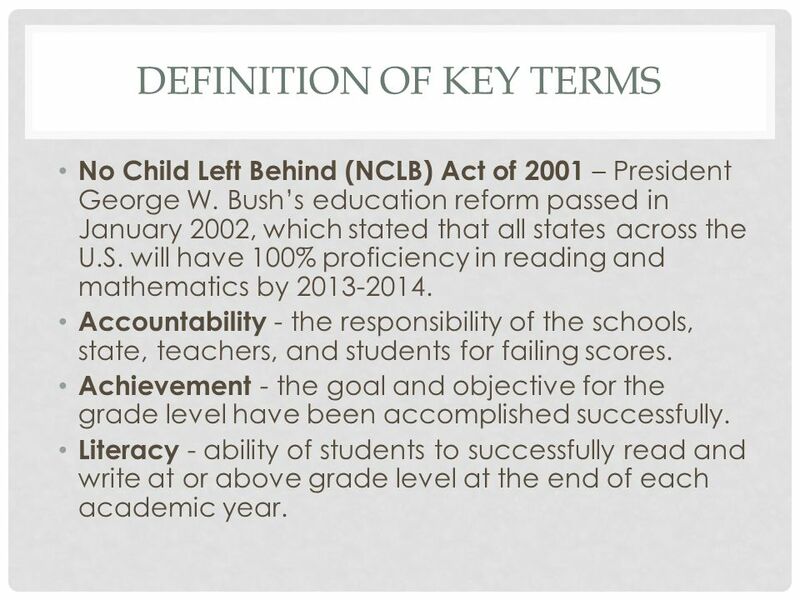 POLICY ANALYSIS ON THE NO CHILD LEFT BEHIND ACT OF 2001. Byron Toliver. California State University, Long Beach. May, 2013. Introduction. As part of President Lyndon B. Johnson's “Great Society, Congress passed the Elementary and Secondary Education Act of 1965 (ESEA) (Brown-Nagin, 2006; P.L. 89-10). Browse No Child Left Behind news, research and analysis from The Conversation.